I am a big believer in staying out of the sun. My super hot/awesome husband recently had skin cancer removed. Luckily, it wasn't the kind that will kill you... but still! His Nordic roots (and the genes that he gave our kids) have really made me more conscious of the sun and the damage it can do. One of my kids is one of the whitest people on earth (I'm pretty sure that's an actual fact) and so I have to be super careful about making sure he stays out of the sun as much as possible and that he has a hat, sunglasses, and sunscreen. I'm serious, this kid is WHITE. Let's face it. I'm getting on in years. I'm not going to tell you how old I am. But I will tell you that most people think I am 10 to 6 years younger than I actually am. Maybe that's because I look young, or maybe it's because I'm so mature. Either way, I have been noticing, for the first time, some sun damage on my face. Gasp! Time to visit the medical spa. 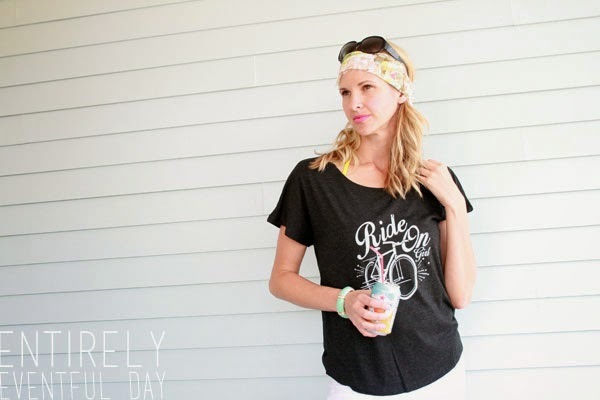 So, I want to share with you some things I do to stay safe and stylish in the Summer time. 2. 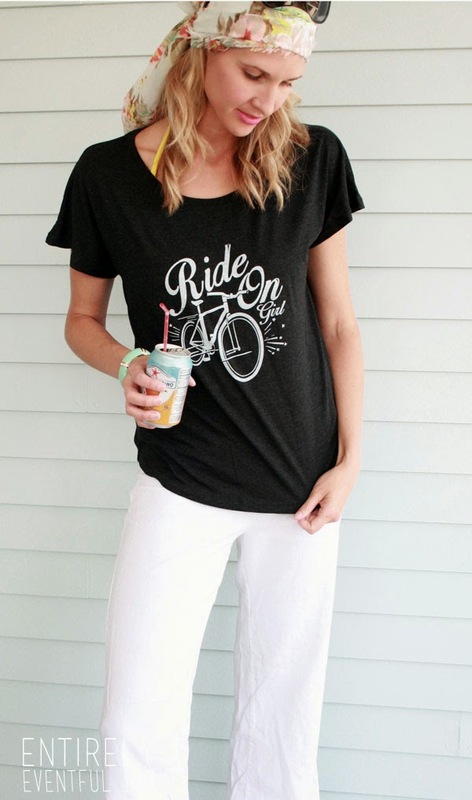 Wear loose tees with sleeves! Of course I love this particular tee. 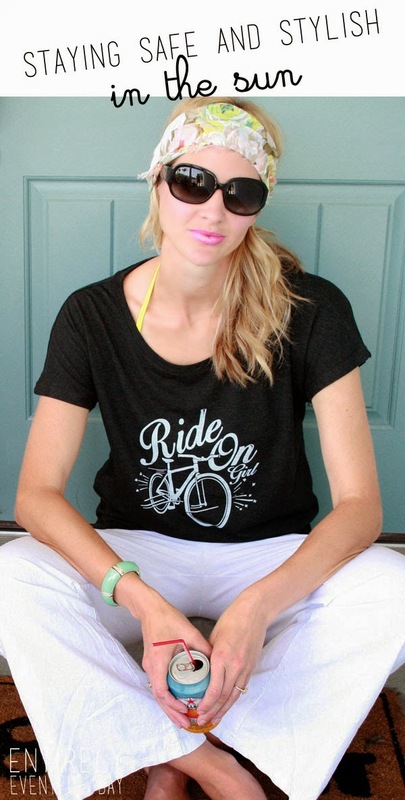 It's the Ride on Girl Tee from my line of inspiring tee shirts for women, My Sister's Tee. I love it because it's not all up in my pits. Ha! But seriously though. 3. Wear SPF! I am all about the SPF. It's in my moisturizer, it's in my makeup. It's all over my house! We are a serious SPF family. There are also many skin-care products that can help prevent damage as well as correct it. 4. Get a Glow! I tan easily. So even with SPF I get color. My family isn't at all Nordic. In fact, people will actually come up to my mom and speak Spanish and my brothers look vaguely Middle Eastern/Spanish. I am by far the lightest in my family. I try to stay out of the sun as much as I can but I still want that glow. That's where self-tanners come in. They are seriously amazing these days. My recent favorite has sparkles. 5. Wear a wide-brimmed hat. So here's another look that I like to sport. This is actually my husband's hat. He looks super foxy in it, trust me. I think he got it at a home improvement store. In past years he has gotten the Quicksilver version. I love it. It's keeps the sun off my face, neck, and shoulders. 6. Get yourself a button down. 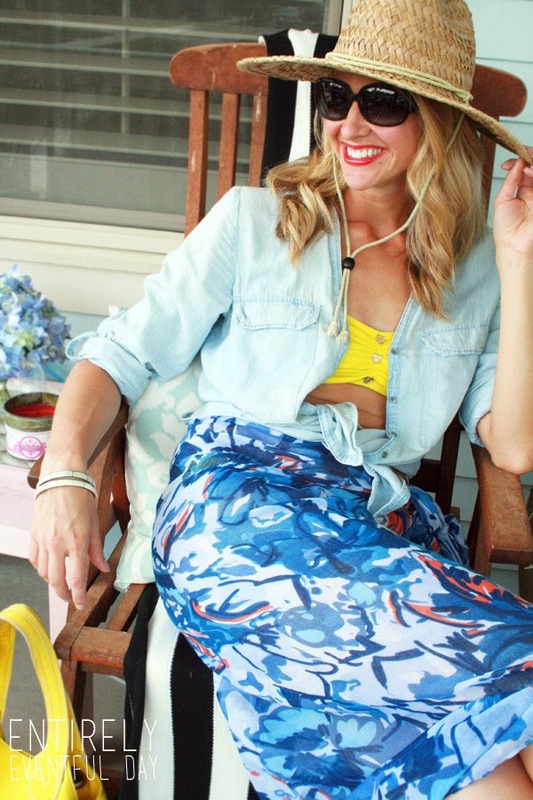 I absolutely love to wear this chambray button down over my swim suit. It's the perfect thing to slip on when I feel like I've had enough sun. It's light weight and I can flip up the collar or roll down the sleeves if I want more coverage. 7. 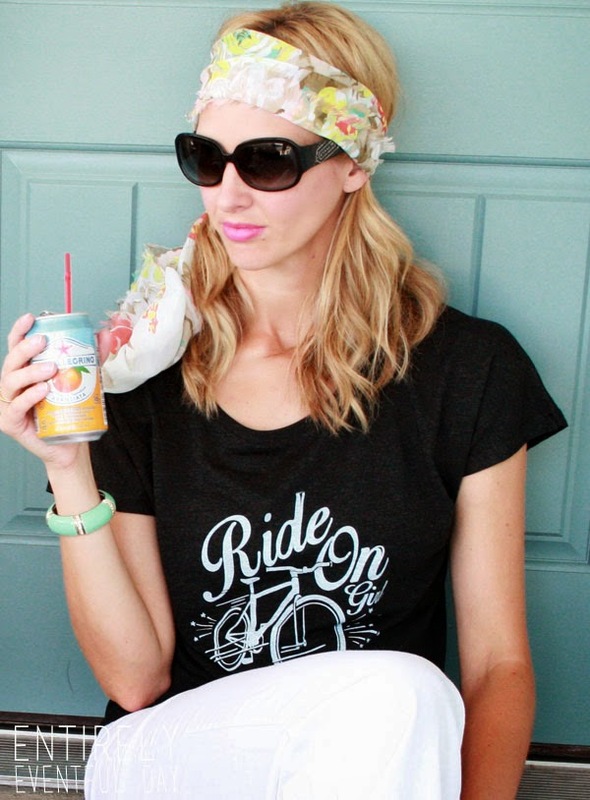 Skirt the issue... with a scarf. This is just an oversized scarf, worn as a skirt. Tada. I love it because I could seriously make a sun shade tent out of it if I needed to. I'm not going to lie... I have been known to do such a thing. 8. Protect your hands. I mentioned earlier that I am definitely getting older (let's not talk about it). One of the places I have really noticed a difference is my hands! Think about it... your hands are constantly exposed to the sun. I don't know about you but I don't want spotty old hands. When I apply the sun block, I don't forget my hands! I hope y'all enjoy these tips and that you will be a little more conscious about the time you spend in the sun this Summer and for Summers to come!